The South African Rugby Legends Association (SARLA) was founded almost 20 years ago and is focused on two primary objectives. One being to promote the de-velopment of rugby at a grassroots level in disadvantaged areas and in those where rugby is a non-traditional sport and secondly, to provide ongoing support of its leg-ends. There are numerous supportive elements required in the management and support of our legends, ranging from the organisation of, and participation in, vari-ous match events, in addition to ongoing development and charity work. Preparatory training is currently underway by the teams participating in the upcom-ing inaugural Stones Cup Deaf Rugby Interprovincial Tournament to be held in Bloemfontein from 29 March – 6 April 2019. 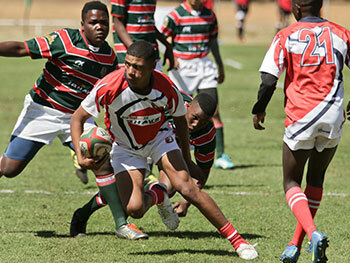 Completely amateur, the Stones Cup Deaf Interprovincial Rugby Tournament is the first if its kind in South Africa, and organised by the South African Deaf Rugby Union (SADRU). The Tournament is named after its former president, Tim Stones, who has also sponsored the trophy. 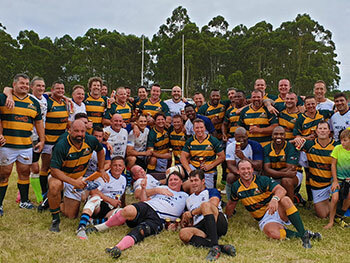 This week, our SA Rugby Legends were alerted to the fact that the tournament’s in-vitational team, SA Deaf Invitational XV, did not have any kit to play in. This inspired our legends to supply the team with a full SARLA rugby kit; jerseys, shorts and socks, for both matches and training sessions. 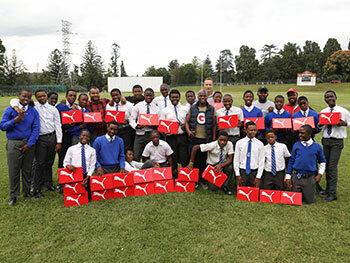 This generous gesture will ensure that not only will the SA Deaf Invitational XV team look the part but will assist in building a strong identity, adding to their team spirit.